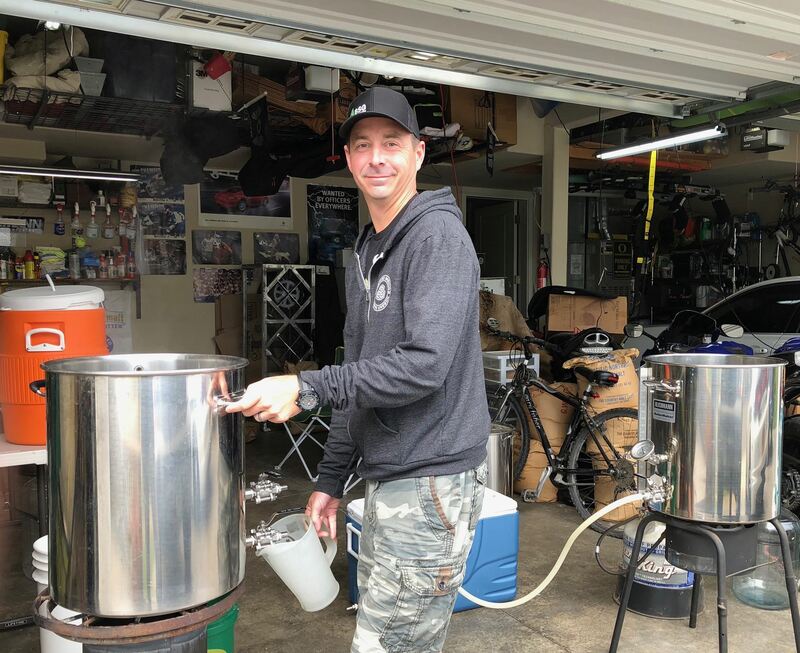 Lisa Hinson- I found my way into the homebrewing community after my sister bought my husband a “Mr. Beer” kit for Christmas 6 years ago. He joined the club the following June and, after hearing about all the fun I was missing, I joined shortly thereafter. At the time I was an avowed beer lover, but had not yet brewed a batch of my own (which I’ve since remedied). What I found in joining the Oregon Brew Crew was SO much more than good beer (though there is that… and plenty of it!). I recognized that there was something different and special about this crew, so I got involved. I have been involved in volunteering at OBC booths at various festivals; Fall Classic, Heart of Cascadia and She Brew competition committees; The Holiday Party; representing the OBC in helping organize the second Pacific Northwest Home Brew Conference and just generally trying to help out where I can. What I’ve found is a community of incredible humans who, on the surface, might seem to simply be connected by a similar “hobby.” What I’ve learned, though, is that it’s a lot more than that. There is a dedication, creativity and intentionality with which so many people in this Crew approach the cultivation, not only of the craft and art of brewing, but educating and sharing knowledge, serving our communities and building valuable friendships. In my “non-brewing” life I work in residential community mental health where I am a Program Supervisor for a supportive housing program that assists folks living with challenging mental health experiences to live as independently as possible . I am a cat lover and enjoy hiking, camping, cooking and traveling (specifically fond of beer tourism!) I really look forward to being your 2019 OBC President! Jon Campbell - For those of you who don't know me, my name is Jon Campbell. I have been the OBC Communications Chair for the three years. I am the one sending out all of those emails for meetings and newsletters as well as Facebook posts and occasional tweets. I have been home brewing for nine years and love the hobby. I have been a member of OBC and AHA now for six years. I am an avid beer lover and home brewer. I love going on "Beer-cations" with my wife, Jodi. I have enjoyed getting to know more OBC members this year and hope to meet more of you in the future. I am hoping to use some of my enthusiasm and love of beer to help out OBC. I am pleased to serve on the board again and help keep you you homebrew club needs. 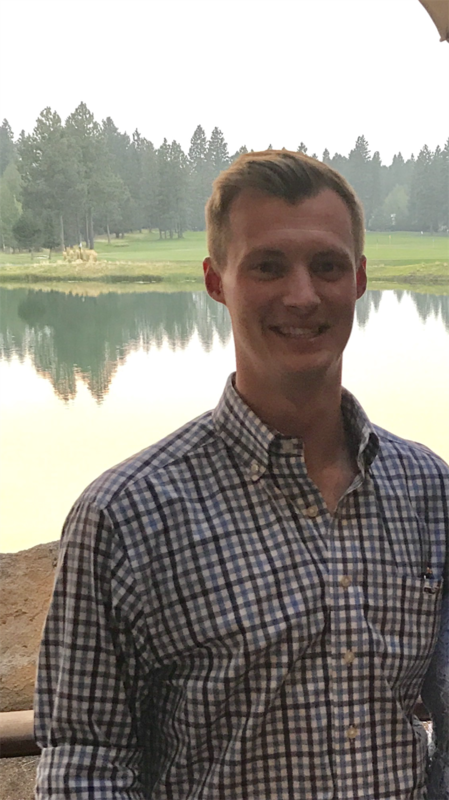 Cameron Norris - Hello Everyone, I am Cameron Norris and have been an avid homebrewer for the past three years. I started out brewing with my father but quickly my passion outgrew his. I enjoy drinking all styles of beer but often find myself brewing beers that are hard to find or too expensive for me to want and purchase. If you do not know me, please introduce yourself and the next meeting - I will likely have a unique beer to share. Grace Schrick - Hey Everyone for those of you that don’t know me I am Grace Schrick. I have been a member for a few years now, but this is my first year on the board. I got introduced to the club by some friends (Jon and Jodi Campbell) and just never left. Beer is pretty much my life. In addition to being a homebrewer I am a beer buyer for Market of Choice and a bartender at a local tap house. When I’m not brewing, working, judging beer or podcasting about it, you’ll usually find me at all the beer events and festivals in town. I’m a total beer nerd and love sharing that passion with everyone. I hope that some of my industry connections and knowledge can help the club and any of its members. I am stoked to be on the board and can’t wait to see what this year brings. Cheers! Eric Hinson - I moved to Oregon in the summer of 2013 from North Carolina. My sister-in-law, who knew Lisa and I loved beer but knew nothing of my desire to brew, got me a Mr. Beer kit for Christmas that year and down the rabbit hole I went. I brewed my first batch in April of 2014 and joined the OBC in July of that year. I picked the OBC randomly after a Google search of homebrew clubs, little did I know I was joining the oldest, largest and most awesome club in the area. Over the last four years I’ve brewed 30+ batches and entered many in competitions. The feedback I’ve received has helped me improve my beers, as well as studying to become a ranked BJCP judge and learning about styles, procedures and off flavors. I earned Recognized rank in August of 2015 and Certified rank in August of 2017. I have judged 19 competitions as well as served as Head Steward or Judge Coordinator for SheBrew, Heart of Cascadia and Fall Classic. I believe this work on the administrative side of the competitions has prepared me to serve as Competition Chair. I live in Southeast Portland with my wife, Lisa, and our cat, Emmy. I stovetop brew 3-gallon extract batches in our tiny apartment while I dream of a larger place with a garage. 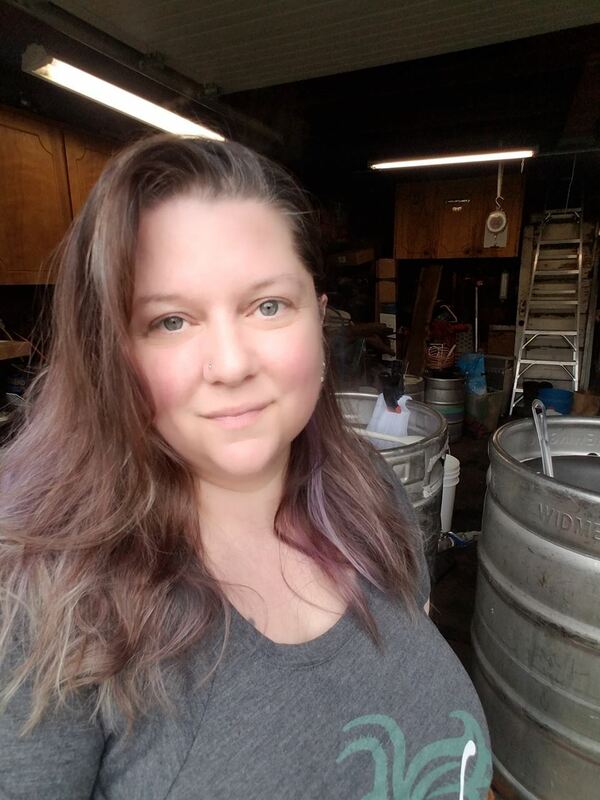 I’m excited to serve as Competition Chair for 2019 with a focus on local competitions, especially those in the OSHBOTY Circuit, the National Homebrew Competitions and our club competitions SheBrew, Heart of Cascadia and Fall Classic. You don’t have to be BJCP ranked to judge a competition. Anyone can do it. It’s easy to start and it’s fun. Come out and give it a try this year! See you there! Tracy Hensley - 2019 is my first year serving on the Board. Potential members should know there are opportunities to grow as a brewer in this club as well as be an active contributor to our vibrant homebrewing community. Contact me if you want to get involved in the Education Committee or you have ideas or connections for educational topics. I have been a member of the OBC since 2013. I joined the OBC because I wanted to become a Beer Judge Certification Program (BJCP) Certified Beer Judge. In 2014, from relationships I started during the OBC's BJCP Class, I wound up joining a group of brewers now known as Green Dragon Brewing. Since 2017, I have served as Judge Director for the OBC's SheBrew Homebrew Competition the largest female-identified homebrewing competition in the world! Because of my involvement with the OBC, I had the opportunity to serve on the PDX Local Planning Committee as the BJCP Committee Member for Home Brew Con 2018. My experience is not unique. Come join the OBC and make a difference. Jessica Prior - Since joining the Oregon Brew Crew in 2013, I have made many great friends and always felt very welcomed. 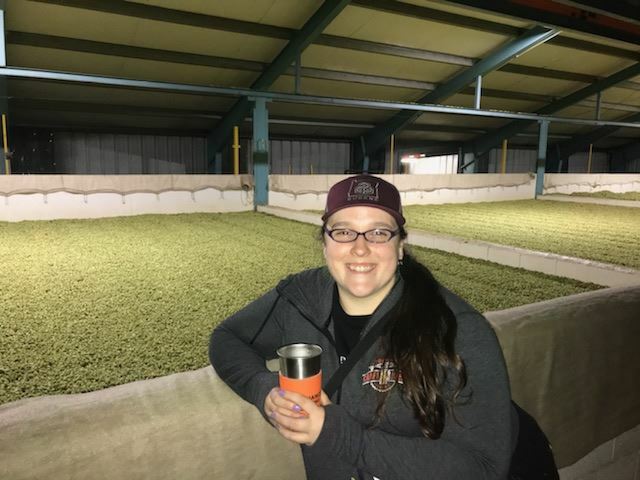 My interests lie mainly in brewing lightly hopped and coffee beers, improving education opportunities, participating as a BJCP certified judge, and contributing to this great community. As communications chair, I plan to keep everyone informed about club events and opportunities. Please email me if you would like to include something in the newsletter or sent out to the membership. Michele Lish - I joined OBC in early Nov 2013, just in time to attend my first OBC meeting, which was an election meeting and a vote on the budget. I even spoke up at that meeting because I had never heard of an "unbalanced" budget before and was opposed to it. I seem to be in the minority on this matter, but it is a minor concern. I have only missed a few meetings in the five years I've been a member, and pride myself in being very active. I have brought food to meetings on a regular basis, been on several committees, volunteered many times for events either to pour beer or staff the OBC booth, designed and generated the OBC challenge coins, and participated in some level for many competitions (bottle sorting, staff member, steward and even judged once). I joined the AHA a couple years ago and attended Homebrew Con in Minneapolis in 2017 and not only attended the 2018 event, but was on the OBC committee and was a steward for the beer competition. Attending the training session was my reason for going, but I do admit I had a great time sampling some beer and visiting some great brew pubs. I don't brew that often, but love brewing with other people because I always learn a lot. I've participated in both the Big Brew Day events and Learn to Brew Events almost every year. For 2019, I decided that it was time to be on the OBC board because I felt I had enough exposure to so many aspects of our club that I would be a productive member of the board. I hope to continue as a board member and will use my skills and experience to contribute to a group I have come to love. This is such a wonderful and diverse group of people who often have little in common other than their love of beer until they become friends and discover other things they mutually enjoy. I now have a whole new group of people I call friends, not just acquaintances, and look forward to learning more about more people and more about making good beer. Felicia Reninger I started home brewing in 2014 and it radically changed my perception of beer. Soon I was studying styles, teaching friends to brew and looking for ways to participate in my local Southern Oregon beer community. After an exciting trip to Beer Camp at Sierra Nevada where I met some OBC members I knew it was time to take the leap and move to Portland. I joined OBC to connect with like minded beer folks and to learn more about beer styles. 2018 will be my third year with OBC and I am really looking forward to it. As Membership chair I look forward to meeting new members and helping them find their footing. Whether it be competitions, sharing a homebrew or exploring our local brew scene, each of us has an awesome reason for being in this awesome club. Since moving to Portland I have achieved my dream of working for a local brewery and have found a great community in OBC. When I am not doing beer things you can find me drinking on my porch or out at a lake. Torri Hansmann - My parents let me sample wine and beer at home growing up. They always made their own wine, but never beer. I would always mix different drinks together to try to make them something fun and new. It didn't often work out. When I met my partner, Jason, I also met my future brew partner and mentor. I have brewed alongside him for 3 years now and am only just starting to venture out on my own. I look forward to serving as your Burgermeister and ensuring that there is always food for the crew to enjoy and soak up a bit of the great homebrew you all have brought to share. I enjoy creating my own food and beer recipes and strive to make a great spiced herbal beer in the near future. In her non-brewing life Torri is a Pharmacy Technician, a Care giver in an assisted living community, a caterer of small dinners for 20-250 and a mother of 2 kids and a dog.